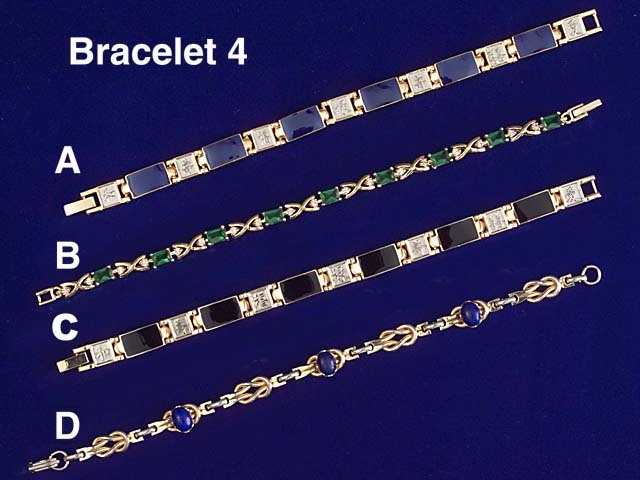 B) Faux Emerald and Diamante Gold Tone Bracelet, 7 1/2". ..... $10 Sorry! SOLD!! !